Ryan Miller appreciates the importance of building long term relationships and working with clients to develop a financial strategy that reflects their needs. After graduating from South Dakota State University (SDSU), Ryan spent 11 years working in sales and design. This experience has given Ryan the basis for building relationships and servicing his clients. At Renaissance Financial, Ryan is able to take his prior experience to another level by developing a flexible strategy that helps his clients pursue their financial goals. He takes care in making sure that every client realizes that their relationship with him as a financial advisor is one that will stay with them throughout life. His clients range from young couples and families to businesses and retirees. Through his dedication and hard work, Ryan has distinguished himself as a leader at Renaissance, achieving great accolades both at a firm and national level. Within Renaissance, he is a Shareholder and was awarded Gold Advisor of the Year* in 2011, Diamond Advisor of the Year* in 2012, and Gold Advisor of the Year* in 2013 by the firm for his sales performance. Along with qualifying for multiple clubs within Securian Financial Services, since 2011, Ryan was named a Million Dollar Round Table** member and awarded the Excellence in Performance Award*. 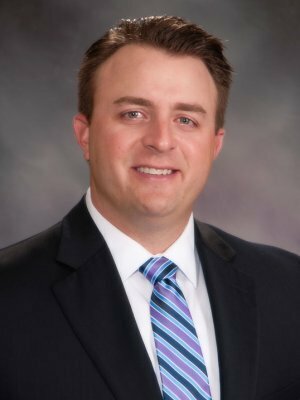 In 2017, Ryan graduated from the Nebraska Chamber of Commerce’s Leadership Nebraska Program, which is designed to enhance the members’ leadership skills and strengthen their knowledge of the economic and political challenges and opportunities in the Nebraska area. Ryan grew up in Belle Fourche, South Dakota and went on the play football for SDSU. He loves to hunt, golf, and spend time with his family and friends. Ryan currently resides in West Omaha with his wife, Linda, their son, Henry, and their daughter, Caroline. He is involved with Ducks Unlimited where he is the current Omaha Chapter Chairman. Ryan also volunteers for Ronald McDonald House Charities, Lutheran Family Services, and is Chairman for the Leukemia and Lymphoma Charity Walk. ** Million Dollar Round Table (MDRT) is an independent membership organization of life insurance and financial service professionals. Membership levels are based on commissions, premiums, or fees generated within a year from investment and insurance products. Members must apply annually and pay a fee. Members must be members in good standing of a Professional Association which has met the following criteria: in existence at least 2 years, have 100 or more members, must be a nonprofit organization, must have a code of ethics and an effective means of dealing with breaches of its code. Members must also adhere to the MDRT Code of Ethics. Working with this advisor is not a guarantee of future financial results. Investors should conduct their own evaluation.